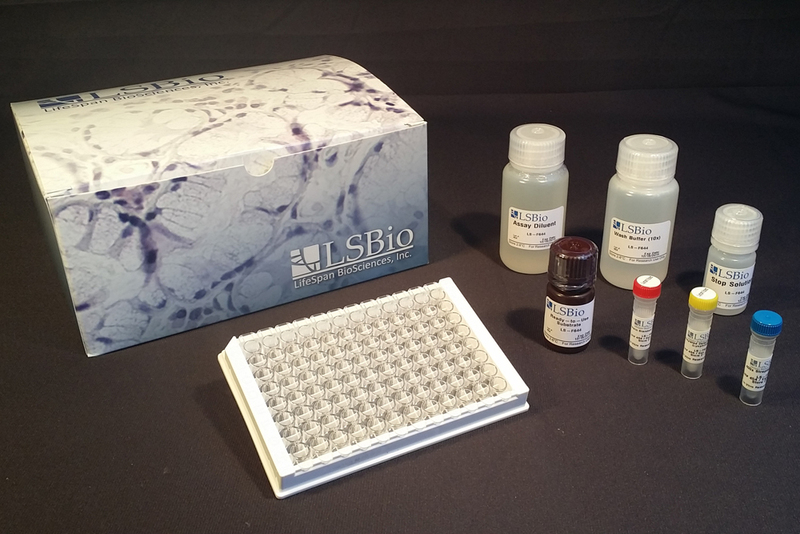 LS-F1735 is a 96-well enzyme-linked immunosorbent assay (ELISA) for the Qualitative detection of Human MAPKAPK5 / PRAK in samples of Adherent Cell Cultures. It is based upon a Cell-Based Phosphorylation assay principle. Seed cells into wells and incubate overnight at 37°C, 5% CO2. Add 100 µl of Fixing Solution and incubate 20 minutes at room temperature. Add 100 µl of Quenching Buffer and incubate 20 minutes at room temperature. Add 200 µl of Blocking Buffer and incubate for 1 hour at room temperature. Add 50 µl of 1x primary antibodies and incubate overnight at 4°C. Add 50 µl of HRP-conjugated secondary antibodies and incubate for 1.5 hours at room temperature. Add 50 µl of Ready-to-Use Substrate and incubate for 30 minutes at room temperature.